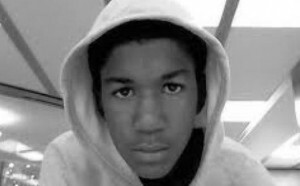 Trayvon Martin was on his way back from the store where he bought some snacks to eat to get ready to watch the All-Star Game. On his way back he saw a man staring at him from a car and this man was on a cell phone. He told his friend Rachel Jeantel who he was speaking with on his cell phone that the man was staring at him. Many think this man was Zimmerman but it was not. At this time, he was standing at the mailbox area that was not the one at the Retreat at Twin lakes where he stayed. Many asserted this as the case, but it is false. He tried to stay out the rain, but when he saw the man staring at him, he left that area to go ahead and make it home and also to try to lose this man. So, eventually, Trayvon Martin entered the complex where he was staying, and he thought that he had lost the man that was following him. What he did not know was that there were at least 2 other men at the Retreat at Twin lakes mailbox area in the complex that he lived in.